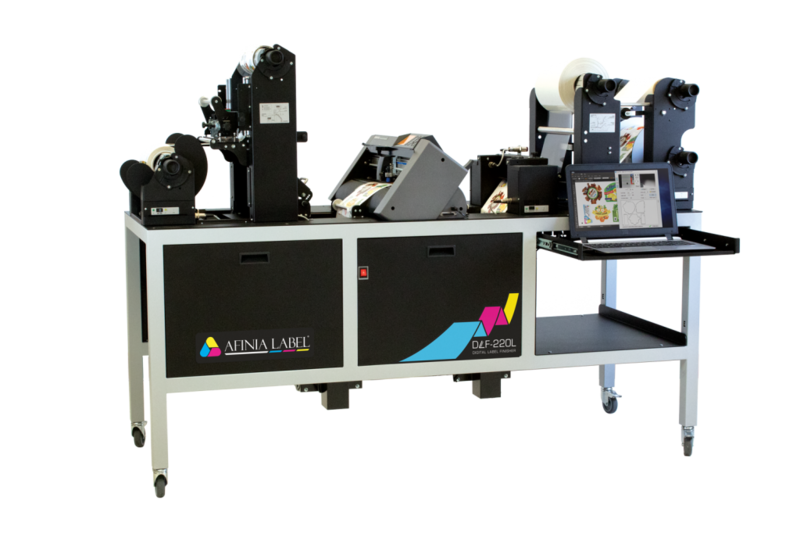 Why Choose DLF-220L Digital Label Finisher? Furthermore, the DLF has finishing speeds up to 45% faster than previous models. Accurately cut almost any shape up to 381mm in length on demand, without the added cost of dies. Similarly, the new generation optical sensor eliminates potential registration errors caused by dust or debris from cutting area. Easy to load and manoeuvre, as a result saving time and money. Notably, you can say goodbye to pre-cut labels. Likewise you can take control of your own label production, eliminating waiting times and stock holding. Eliminate hassle associated with producing full bleed labels. Laminate labels for added durability (DLF-220L only). Using the optical camera sensor the DLF-220 will locate a 4mm black registration mark which is created using either Adobe Illustrator or CorelDraw. Also adjustments to the cut position or cut depth are possible whilst the machine is running.